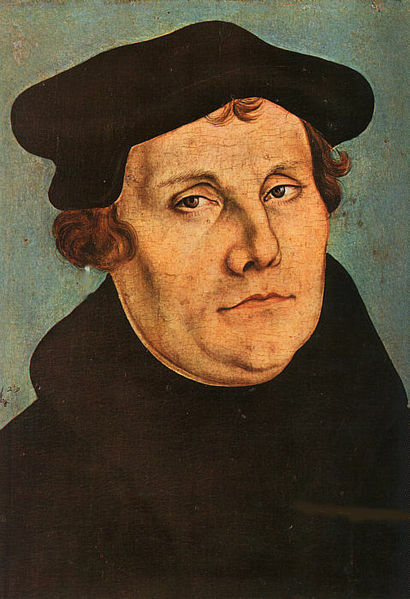 In rejecting lifelong celibacy, in casting marriage as the highest order and calling on earth, in elevating motherhood and homemaking, in emphasizing the spiritual authority and practical tasks of fatherhood, in refocusing adult lives around the tasks of child rearing, in celebrating procreation and large families, and in condemning contraception, Luther implicitly laid a great burden on Protestant clerics. They had to serve as examples for their congregations, and specifically, they had to marry and bear large families themselves. Where the Catholic priest or the cloistered monk or nun faced the challenge of lifelong celibacy, the Protestant cleric faced the lifelong challenge of building a model and fruitful home. This special role of the Pastor’s Family was rarely codified in church doctrine, but the Protestant rejection of both celibacy and contraception created a visible expectation. Barring infertility, a faithful Protestant pastor and his wife would be parents to a brood of children. It was a difficult expectation to satisfy, and would only become more difficult as economic and cultural changes made providing for large families more burdensome and having many children less and less socially acceptable. Not surprisingly, many seem to have turned to contraception to limit their families, and equally unsurprisingly, this affected their articulation of the church doctrine for which they were responsible. As late as 1874, the average Anglican clergyman in England still had 5.2 living children. In 1911, however, just three years after the bishops had condemned contraception, the new census of England showed that the average family size of Anglican clergy had fallen to only 2.3 children, a stunning decline of 55 percent. The British Malthusian League—a strong advocate of contraception—had a field day exposing what it called the hypocrisy of the priests. As the league explained, the Church of England continued to view contraception as a sin, and yet its clerics and bishops were obviously engaging in the practice. Apparently only the poor and the ignorant had to obey the church. There was not much that Anglican leaders could say in response. This propaganda continued for another two decades, and soon some Anglican theologians were arguing that Britain’s poverty required the birth of fewer children. This was an eye-opener. I'd never really thought about it this way before.